Works will predominantly be undertaken during the day, with some road surfacing works undertaken to be undertaken at night. In addition to the new signalised intersection, pavement will be rehabilitated on an approximately 2.9km length of Bridge Road between Beovich Road and Kesters Road. 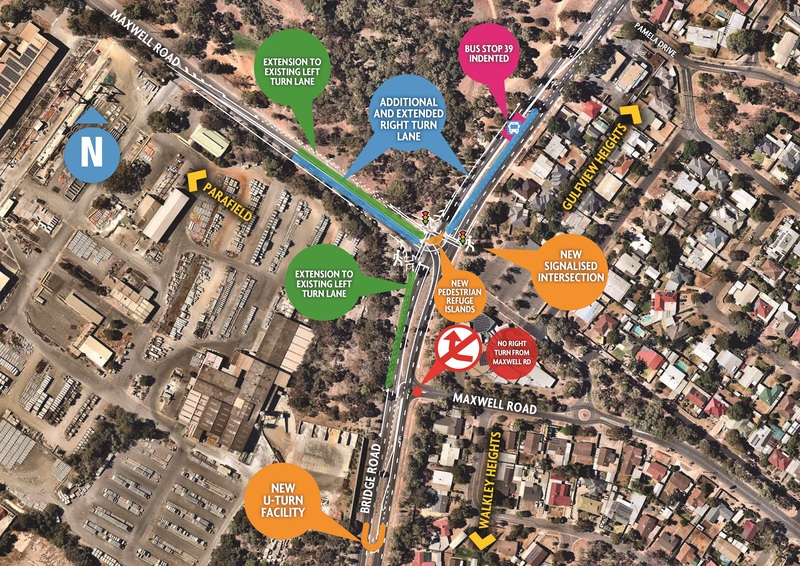 The works are expected to be completed by the end of July 2019, weather permitting. The works are scheduled to start Monday, 15 April, and will involve a combination of both day and night works. Works will generally start on Sunday evening and finish on Saturday morning of each week. No works will occur on Saturday nights. In addition, no work will be undertaken between the morning of Thursday, 18 April, and the evening of Sunday, 28 April, to avoid the Easter and Anzac Day holiday period.